Sr Alison Munro participated in the Universal Church and Mission 2017 conference, organised by the German Bishops’ Conference and attended by the heads of Catholic aid agencies, missionaries and people working in various dioceses. 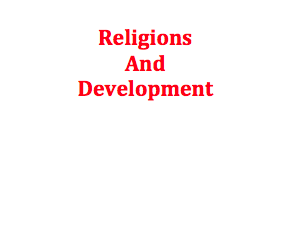 In a panel on international perspectives on Religion and Development she presented her experience of the potentials and limitations of the Church’s engagement for development, looking at cooperation between Church/church institutions and Government /governmental institutions. Noting her own experience from the AIDS Office of the Southern African Catholic Bishops’ Conference, she stressed the need for the funding of development programmes, the Church’s role in advocacy, the pioneering role of the Church where government programmes do not exist, and the call to the Church to provide services to marginalised communities.